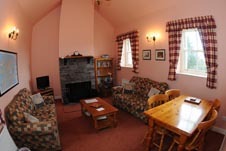 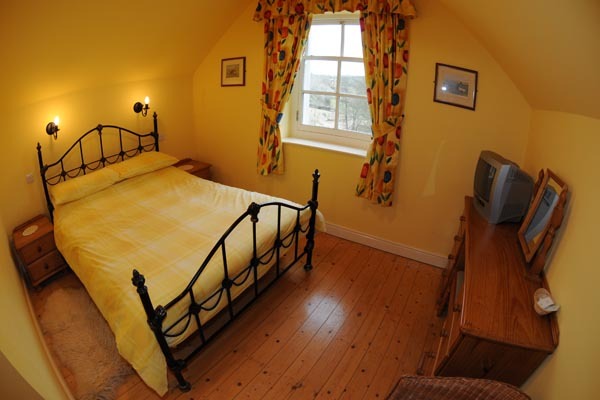 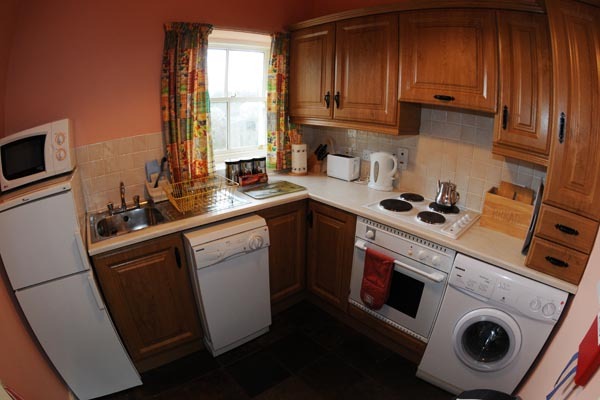 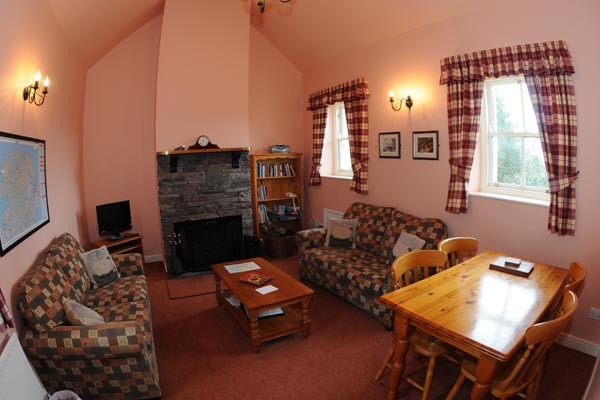 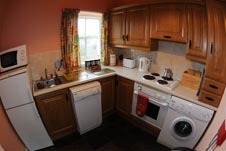 Sleeps 4 in two double ensuite bedrooms, one upstairs and one downstairs. 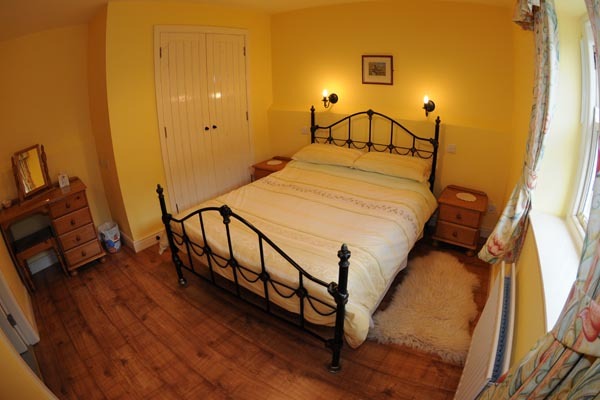 A folding bed can be added to the upstairs bedroom if a 'twin' room is preferred. Three stairs approach the living area, kitchen and hallway.